I am so glad a family friend let me borrow an awesome book called Kat Greene Comes Clean. I usually really like books like this that have a strong girl character. 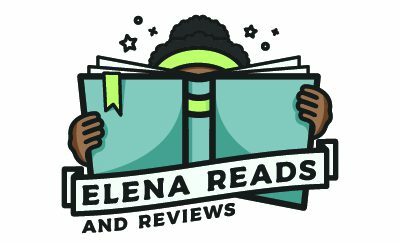 My review of Kat Greene was posted this week on my blog. I also had the fortune of interviewing the author, Melissa Roske. Not only did some of her responses make me laugh, they also let me step into the shoes of someone who wrote a book my eyes were glued to — from the moment I started it, all the way until I finished it. Question: I read that you used to be a journalist. What inspired you to write Kat Greene Comes Clean? Answer: Yes, I worked for newspapers and magazines for many years, in New York and in Europe, before I wrote KAT. I was also an advice columnist for J17, a London-based teen magazine. It was super fun, and very rewarding. Over the course of my six years at the magazine, I must have answered at least a thousand letters! In terms of my inspiration to write KAT, it’s been a lifelong dream of mine to publish a novel. I’ve thought about it ever since I can remember. But life got in the way, and I didn’t write anything that wasn’t work related, like magazine and newspaper articles. But then, a little voice popped out and said: “Excuse me, but didn’t you want to write a book? What happened to that?” So I listened to the voice and started writing. The first novel I wrote didn’t get published (it’s hidden in a drawer, thank goodness), but the second one—KAT—did! A: Before Kat was “Kat,” she was “Ellie Gold.” Therefore, the original title was: What’s the Problem, Ellie Gold? But then, several drafts and a new literary agent later, Ellie became “Kat” and I needed to change the title. For help, I turned to my amazing writer friend Lara Williamson who’s a genius at titles, and together we brainstormed ideas. I’d like to take credit for the title Kat Greene Comes Clean, but Lara’s the one who actually thought of it! The title I came up with, Clean Sweep, got, well… swept under the rug! Q: Did you make Kat a strong girl character on purpose? A: It’s funny, but Kat doesn’t think of herself as strong at the beginning of the book. It’s only later on, when she’s reached out to the school psychologist for help with her mom’s OCD, that she realizes she’s strong and brave. I knew Kat had it in her to be strong—she just didn’t know it yet. Q: What character in your book is most like you? A: I was going to say Kat—until I realized there’s a little bit of me in ALL of the characters. Except, maybe, for the mom. She’s obsessed with cleaning, and I’m… not. Q: I noticed you made a lot of references to Harriet the Spy. Why? A: That’s an excellent question, Elena! Harriet the Spy is more than my favorite book; it’s part of my identity. In fact, I wrote an entire article about it (https://nerdybookclub.wordpress.com/2016/08/08/how-harriet-the-spy-shaped-my-identity-by-melissa-roske/). To boil it down, I’ve always felt a profound admiration for Harriet and how she views life. She’s honest—sometimes brutally so—and she feels things deeply. She sees things deeply, and she wants things deeply. Not material things necessarily; she wants to know how people think and feel. I’m the same way. I’m always watching, and thinking, and feeling. Sometimes it gets me into trouble—just like my beloved Harriet. Q: What is your favorite part about writing a book? A: Typing: “The End”! As many writers will tell you, writing is hard work, and it can be very, very, very, very, very, very, very, (very!) frustrating. There are some days, for instance, when my mind goes blank and I can’t think of a thing to write. And whatever I do write looks (and feels) like smelly garbage. But then, there are days when my imagination is on fire and the words jump out of my brain and onto the page. Those are the days that keep me from giving up. Q: Do you plan on writing another book? A: I’m actually working on my second book right now! I can’t give too much away, because my agent will have my head on a platter (#KiddingNotKidding), but I can say it’s about another strong girl, not unlike Kat, with a BIG dream and an out-of-the-box plan. I’ll share more as soon as I can, I promise. Q: What is your favorite children’s book with a character who doesn’t look or act like you? That’s an easy one. I just finished Jerry Craft’s remarkable middle-grade graphic novel, NEW KID, and the 12-year-old protagonist, Jordan Banks, grabbed my heart. Jordan doesn’t look like me (he’s a boy, and African-American), and he has talents that I don’t have (he’s a gifted artist), but he has a curiosity about life like I do; he’s an only child like me; and he lives in New York City, like me. Score! Q: Any other interesting things you would like to add about yourself? A: Wow, Elena… this is hard. I mean, what about me is truly interesting? Sure, I’ve lived in several European countries (England, Belgium, and Germany), I LOVE ice cream and eat it almost every day (any flavor, I’m not picky). But other than that…? Oh, wait. I’ve got something! My 19-year-old daughter, Chloe, is named after the main character in my friend Irene Hwang’s middle-grade novel, The Rubenesque Society. The book hasn’t been published yet, but it will. Watch this space! Elena, I also laughed aloud at parts of this interview! Also, I can tell how much Ms. Roske loves books. Question- is there a character from a book you’ve read that you feel a deep level of admiration for, the way Ms. Roske feels about Harriet the Spy? Also, note to self, I need to read Harriet the Spy! Elena- also, I am always impressed by the questions you ask the authors! Note to self, I do, too! I’ve only seen the movie. In Merci Suarez Changes Gears, I felt a deep level of admiration for Merci, when she finds out about Lolo I almost cried, and in some parts of the book I just wanted to slap Edna.